The SA Revenue Service (SARS) said in a statement issued on Saturday afternoon that it is set to meet with the National Education Health and Allied Workers Union (NEHAWU) and the Public Servants Association (PSA) on Monday March 25, 2019 in order to try and avoid a strike. Fin24 reported earlier that the unions served SARS with a 7-day notice to go on strike from March 28, 2019. This is following a dispute that organised labour lodged at the CCMA in February 2019. The CCMA issued a certificate of non-resolution on Tuesday March 19, 2019. SARS is of the view that it enjoys a good relationship with organised labour "founded on the principle of a higher purpose that all SARS employees espouse". The current 3-year wage agreement that SARS has with organised labour expires on March 31, 2019. Consequently, SARS, NEHAWU and the PSA started the current round of negotiations in November 2018. In November last year the unions tabled a list of demands, which included a 15% general salary increase on the total wage package. Negotiations have taken place since December. According to SARS, consensus have since been reached on three of the demands. The key demands that remain subject of negotiations are a general salary increase of 11.4%; the term of the wage agreement; pay progression; provisions on family responsibility leave and prenatal leave; long service awards; and exit gifts. SARS says in its statement that, given the current economic conditions, it finds itself in a very constrained fiscal position. "In the spirit of openness and transparency, SARS agreed to set up a task team to look at the SARS financials. 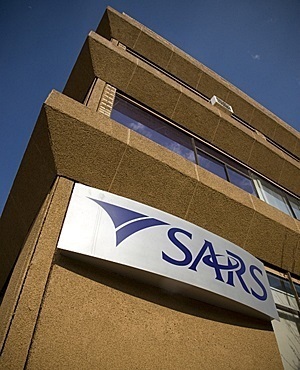 Several meetings took place where organised labour and SARS management looked for opportunities for cost savings that will improve the financial position of SARS going forward," the statement says. SARS revised its offer from 4% to the current 7% differentiated increase. "Due to the shrinking revenues and growing debt levels, the 3-year Estimate of National Expenditure (ENE) by National Treasury has reined in government expenditure over the next three years. Whatever wage settlement SARS enters, it should be within the ENE framework over the next three years," states SARS. It points out that inflation in SA is at 4.1% as of February 2019.